HARARE – Stellar performances by Zimbabwe and Rwandan operations saw cement manufacturer, Pretoria Portland Cement (PPC) record a seven percent growth in revenue to R10,3 billion for the year to March 31, 2018 from $9, 6 billion of the previous year. Earnings Before Interest, Taxes, and Amortization (EBITDA) for the PPC group during the period under review improved four percent while margins were maintained. Recurring EBITDA for the period was 17 percent higher than reported after adjusting for corporate action and other non-recurring costs. “All operating units had a stellar performance with continued focus on cost containment . PPC volume growth in South Africa were better than industry average, price increases achieved. “Strong performance from Rwanda and Zimbabwe, significant market share improvement. Democratic Republic of Congo commissioned in challenging operating environments,” said the cement manaufacturer. Zimbabwe’s volumes were up 46 percent and three percent selling price increase in US$. Overall domestic cement volumes increased by more than 40 percent compared to previous year due to, increased volumes in the Northern region following commissioning of the Harare mill and enhanced product portfolio. Southern Africa cement volumes were down three percernt with selling prices up three percent. Rest of Africa cement growth key driver of group revenue, contribution increased by 27 percent. The cement manufacturer said DRC and Zimbabwe commissioning were not fully expensed in the prior year and included in the current year under review. PPC said liquidity challenges continue to prevail in Zimbabwe and the company has implemented strategies to mitigate the risk for instance localised procurement and exports. “We are looking at improved efficiencies in Zimbabwe and Rwanda, through product optimisation and energy mix. We will also look at implementing effective structures in Zimbabwe, Rwanda and DRC,” said the cement firm. PPC said the political landscape is improving in Zimbabwe, with elections scheduled for July 31, 2018 and the company is well positioned to benefit from improved growth prospects. The cement firm said Zimbabwe, DRC and Ethiopia political developments are encouraging and should give further confidence to the construction market. 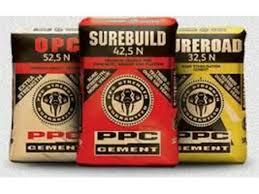 PPC is also expecting strong demand to continue in Zimbabwe and Rwanda and further ramp-up in DRC and Ethiopia.